Wiz Khalifa is back on the road for his Big Secret Tour, where he will performing at small, intimate venues all over the country. 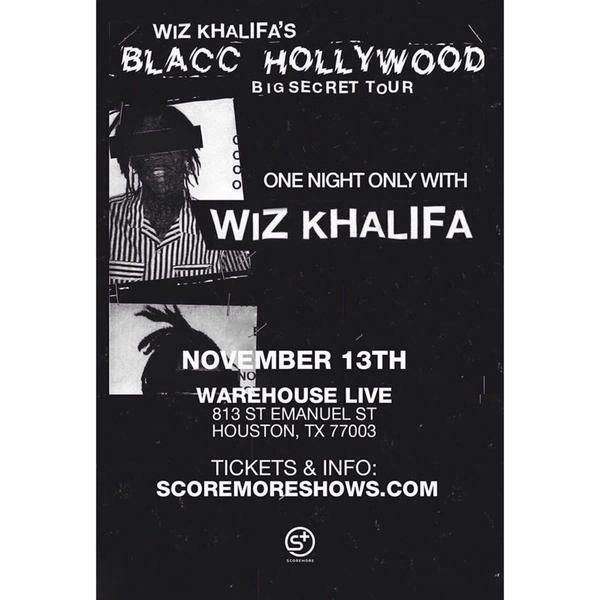 He will be in Houston for ONE NIGHT ONLY on Thursday, November 13th at Warehouse Live and we have your way in to the show! 1. Post a picture of you and your friends on Twitter or Instagram. 3. All submissions must be made by Wednesday, November 12th at 3 PM. Winner will be chosen and contacted shortly after the deadline! Next Win Free Tickets to The Black Keys Concert at Toyota Center!